This union is rather unique in the insurance industry as it preserves the independence of UNIFI’s member organizations. Individual company members benefit from the financial strength and growth potential afforded by this new association. Standard & Poor’s rates UNIFI as “strong, A+,” for financial strength. A.M. Best gives UNIFI its excellent, “A,” rating. 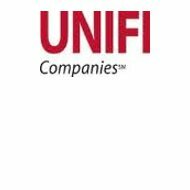 As mentioned above, Union Central Life, while a wholly owned subsidiary of UNIFI Companies, maintains its name and individual identity as an independent insurer based in Cincinnati, Ohio. The Union Central home page contains an interesting feature, as clients with annuity contracts may track the performance of all Union Life annuity programs. Two windows allow users to tract individual daily performance or the historical performance of each annuity package. Eight fixed and variable rate annuity programs are available as part of Union Central’s investment portfolio. Life insurance options include term insurance, universal life, variable universal life, and whole life programs. Disability programs offer various benefit, waiting period, and premium options to suit most any need. Policy options also include guaranteed renewal and non-cancellation benefits. There are policies for small business owners designed to provide income continuance in cases of accident or injury. Group disability programs are available to employers, providing effective coverage for executive and professional level employees. Annuity program options include standard fixed and variable rate options as well as indexed annuities and immediate annuity plans. The Union Central annuity page gives the visitor access to calculators and tools to help clients allocate assets for investment. As indicated earlier, the annuity page also provides up-to-the-minute market data on all Union Central investment opportunities. Note: If you are a resident of New York State, retirement plan options will vary. For more information, contact an Ameritas Insurance of New York agent directly. All retirement and investment plans are administered with the greatest care and concern for the financial well-being of each Union Central and Ameritas customer. This level of personal service sets the UNIFI Companies apart from other insurance organizations. Online tools and information as well as one-on-one agent service insure the best possible outcome for each investor client.